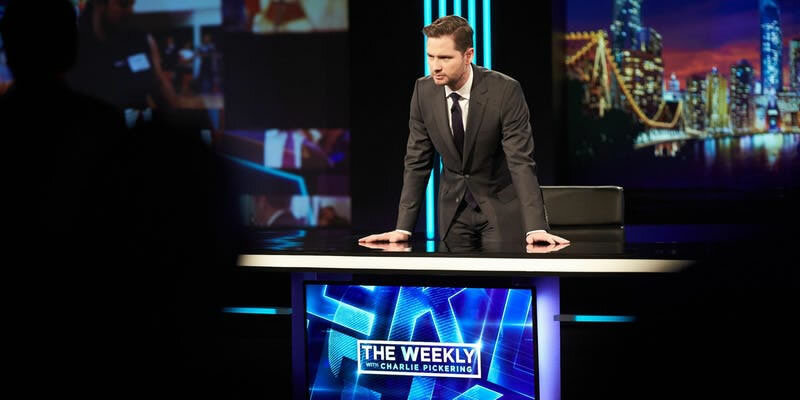 Join the audience for 'The Weekly with Charlie Pickering' - FREE Event The Weekly with Charlie Pickering is back this election year and we want YOU to be part of the studio audience! Watching .. The series was originally commissioned by Granada Television as a programme for the World in Action series screened on the ITV network, broadcast in 1964. It was directed at first by Paul Almond a .. Absolutely Melbourne TV tour of Melbourne's best eateries from fine dining establishments to the best pizza in Carlton and great pub dining in North Melbourne. Hosts Rebecca Maddern, Michael Fellg ..
A guide to whats on in Melbourne, this winter... Absolutely Melbourne | Winter in the City screened on Channel 7 in June 2009. The city of Melbourne is made for winter. It gets dark early this time ..
After a shaky start, Adam and the team had one of the most enjoyable live shows on television. A Melbourne tradition, live Tonight Shows go on to become part of our every day lives and without doub ..
Channel 9 coverage of the 2019 A.F.L. Football season. Nine footy shows include.. --> Footy Classified (Monday) Late --> Footy Show (Thursday) --> The Sunday Footy Show (Sunday) --> TAC Cu ..
We just love the footy. And it's all LIVE and FREE on Seven. The Toyota AFL Finals Series, Grand Final, Brownlow Medal, AFLW season and the AFLW Grand Final, VFL, SANFL, WAFL and the Toyota AFL Pr .. The three-time Emmy-nominated series continues to be one of the most most-watched TV shows, thanks to an addictive mix of suspense, history, and dramatic revelations - in bite-sized segments. The ..
Join the studio audience of one of the many TV shows that film in Melbourne. It's a fun and free thing to do in the city, especially if you watch that particular show. Visit the Pope TV Facebook p ..
Carrie Bickmore accidentally replaces the word QANTAS with another word during 'The Project" shown on Channel Ten on Wednesday 29th August 2012. It must be said, the rest of the team handled the ob ..
Countdown was a weekly music television show on the ABC from 1974 until 1987. On reflection of more than 50 years of Australian TV it's hard to imagine a show that has made more of an impact on Au ..
Coxy's Last Episode! G'day, Coxy here, Our show on Sunday 22nd March, 2015 will be the last Coxy's Big Break! It's sad, but the team and I have had an amazing run over the past 11 years an ..
Don't miss a minute of the footy this year with Australia's only dedicated, 24/7 AFL channel, FOX FOOTY. FOX FOOTY is the ultimate place to experience all the action of every round of the 2019 Toy ..
Free TV Australia is an industry body which represents all of Australia's commercial free-to-air television licencees. Free TV has represented the commercial free-to-air television industry for o ..
Join Australia's funniest comedians and favourite personalitie for a glimpse behind the scenes of Australia's funniest TV quiz show (including all the jokes too hot to air!) Registrations for the H ..
Regulars include Livinia Nixon, Red Symons, John Blackman, Russell Gilbert, and Wilbur Wilde along with Plucka Duck, Ossie Ostrich and Dickie Knee and segments including Celebrity Head and Red Faces. .. Black-and-white television officially started in Australia in 1956. It was much later than most people had expected, given that the first regular experimental television transmissions began in Bris ..
Recording free-to-air TV using IceTV and a media center PC, Mac or PVR couldn't be easier-simply view our on screen 7 day TV guide, highlight the program you'd like, then press record. Once recorde ..
Television show In Melbourne Tonight (IMT) on GTV-9 was hosted by Graham Kennedy and is still regarded as the golden era of Australian television. In Melbourne Tonight or IMT as it was known local ..
Kath & Kim is a satirical Australian television series shown on the ABC network. The series began in 2002, and is has so far aired three seasons. The show was created and written by Jane Turner and Gi ..
League Teams Jack Dyer, Lou Richards & Bob Davis. Back in the beginning of time there was League Teams. At that time, there would gather the Three Wise Men.. Jack Dyer, Lou Richards and Bob D ..
Brent Owens from Victoria WON the Chef's Hat in the 2014 MasterChef Grand Final. MasterChef Australia is one of the world's most loved food and cooking shows. Brent Owens, 24, beat rival Laura ..
Everyone's favourite cooking show and empathetic judges. It takes 20 ovens miles of stainless steel an arsenal of appliances and knives that chop cut slice and dice to discover the best amateur ch ..
Media Spy is a media website discussion including Podcasting. TV News and Current Affairs Television Ratings Television Issues Television Shows Television Personalities International Te ..
Digital terrestrial TV broadcasting (DTV) began in metropolitan areas of Australia on January 1, 2001, and will begin in regional areas between 2001 and January 1, 2004. All existing analog (PAL) ..
Who said that there was no culture in drinking beer..... VB, the Foster's beer of choice for many Australians, is the inspiration for a symphonic piece of music played by the Melbourne Symphony Orc ..
MILLIONAIRE HOT SEAT STUDIO AUDIENCE TICKETS Tickets are FREE and audience members will go into the draw to win CASH prizes. We love booking large groups, so get the team together because; ..
Samuel Johnson stars as Ian "Molly" Meldrum in the highly anticipated miniseries, Molly. Johnson will play the Australian music icon for Channel 7's new miniseries Molly. The Secret Life of Us s .. In 2017, we celebrated 30 years of RAGE which brought back memories of other music television shows. In the days before video clips shows featured artists performing live and miming songs. With th ..
Sun 7pm | Mon - Tues 7:30pm on Seven and 7plus Pete Evans and Manu Feildel are back with the tenth season of Australia's most popular and hotly contested cooking show, My Kitchen Rules. Season ..
Northern Access Television is the Community TV Production Group for Melbourne's Northern Suburbs. It's programs are broadcast on C31 Melbourne. NAT produces a number of programs, including our inte ..
Prisoner (Cell Block H) was a television soap opera set in Wentworth Detention Centre, a fictional women's prison. Prisoner became one of the most enduring tv shows in Australian television history .. RAGE is an all-night music video program that airs every weekend in Australia on ABC. For over 27 years Rage has been showcasing a diverse range of music videos from Aussie and international artis ..
Rodders life is about Rodder's and Hot rods, Drag Racing, Nostalgia Drags, Rodders Hobbies their families, rod runs cruise nights, technical tips, links to other web sites the current generation, the ..
Rove McManus announced on-air during the final show for 2009 that his long-running talk show, ROVE, would be coming to an end, with last night's episode being his last after a ten-year run. Rove.Da .. Simply one of the great shows to come out of Melbourne and a favourite here at OM... This addictive musical romp has people singing along to forgotten songs and dusting off their vinyl collections, .. The Bazura Project is a half hour of light entertainment programme about films, movie, and everything in between every Thursday on C31 in Melbourne. Australia's number one movie show (in reverse or .. The Block is a reality lifestyle tv show on Channel 9. The Block, where contestants live in and renovate rooms on a weekly basis and the winner announced as the couple who make the most profit from ..
We just wanted to remind all you Blockheads to tune into The Block Finale this Sunday! All the action will be kicking off at 6.30pm on Channel 9. When watching, you'll probably notice a whole se ..
Chantelle Ford and Steve O'Donnell won series 8 with the biggest sale in the show's history, pocketing $736,000 in prizemoney after their apartment sold for $2.47 million. It was the biggest sale ..
Congratulations to Dean and Shay. The Blockheads walked away from their auctions with some serious cash burning a hole in their pockets, after all five teams sold their Blocktagon apartments for an ..
Channel 9's The Block Triple Threat is the first season for 2015. Hosted by Scott Cam Blockheads Ayden + Jess Gold Coast, QLD Daz + Dea Melbourne, VIC Josh + Charl .. The grand final of The Block | Top Of The Block, Season 12 was shown on Sunday 13th November 2016. Winners (deserved) were Will and Karlie Top Of The Block Season 12 | The Block, hosted b .. The grand final and auction night for the 2018 series was held on Sunday 28th October 2018. It was won by Hayden and Sara in Apartment 3. Here's how the Block 2018 auctions went down The Gat .. It's news done differently. Guaranteeing no miracle diets, no stories that 'no parent can afford to miss', and virtually no dodgy plumbers, The Project is a TV show joining in the conversations going .. The Sullivans followed the life of a Melbourne family through the years of World War II. Set in the suburb of Camberwell, Dave and Grace Sullivan were parents to three sons and one daughter-John, Tom, .. Here are some of the famous and not-so-famous television landmarks around Melbourne and Victoria. Neighbours Pin Oak Court, Vermont South Melway 62 E8 Where neighbours become good friends! Nei .. 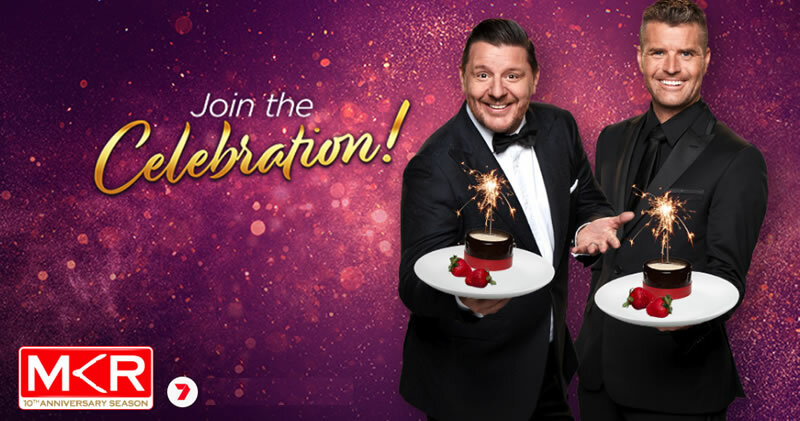 Tune in on Sunday 30th June 2019 to see the 61st annual TV Week Logie Awards from the Gold Coast. TV WEEK is thrilled to announce the 2019 Gold Logie Award nominees, who will be vying for the top s ..
What's On The Tube has been at the forefront of Australian free-to-air television for three years starting out as a small blog on August 10, 2006 it has since grown to become one of Australia's most p .. Working Dog is a film and television production company based in Melbourne whose productions include The Castle, The Dish and Thank God You're Here. The team behind Working Dog Productions includes .. The original TV series ran from 1971 until 1988 was hosted by Johnny Young and spawned many successful artist careers including Jamie Redfern, Dannii Minogue Tina Arena and Debbie Byrne. The show s ..